If you are thinking of doing something this Spring, plan your colour theme from the start. It'll help bring everything together and feel really organised. A strong colour theme with definitely impress friends and family too and it isn't hard! For this time of the year, when the sun is out a little and we are starting to get excited about summer, we recommend going for a pastel colour palette. It's colourful but not like the bright colours we plan to bring out actually in the summer. Don't be afraid to mix up all these pastel colours, that's what makes this theme so exciting and invigorating. Whether you're holding a dinner party in your garden or a birthday party in the village hall - take on some colour for your event! Once you have something in mind, get shopping. 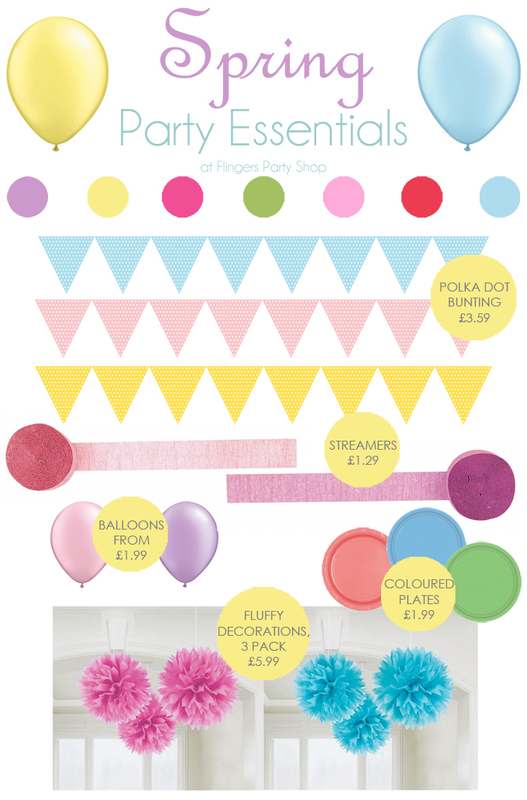 We have a great easy to use section on our website especially for shopping by a certain colour which will help you quickly find some pastel pink cutlery or polka dot bunting.